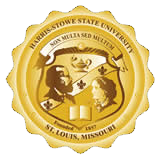 The Office of Retention is committed to the success of all HSSU students. The Office of Retention aims to address the social, emotional, and academic needs of our students which are important to students returning and ultimately graduating from HSSU. Retention is an on-going, multi-year process centered around data-driven programming, campus wide collaboration and frequent evaluation of student needs and interests. Our office connects students to resources and support to help students achieve academic success.